I’ve rounded up new gift with purchase offers and new beauty boxes for 2019 from Sephora, Skinstore, Boscov’s, Birchbox, Skinceuticals, Space NK UK, Charlotte Tilbury and many more. Sephora and Sephora.ca (NEW) Yves Saint Laurent VIB gift with any $45 purchase use code YESYSL – exclusive for VIB and Rouge. (NEW) Fenty Beauty on clearance. There are new items in the SEPHORA Rewards Bazaar, you can use Sephora points to redeem for free. Pick two free samples with any purchase (no minimum) here. See Sale page here. See Sephora Weekly Wow Deals at 9AM. See Sephora holiday value sets. See all available kits at Sephora Favorites. SkinStore (NEW) Save an extra 10% on all sale items – no code needed! 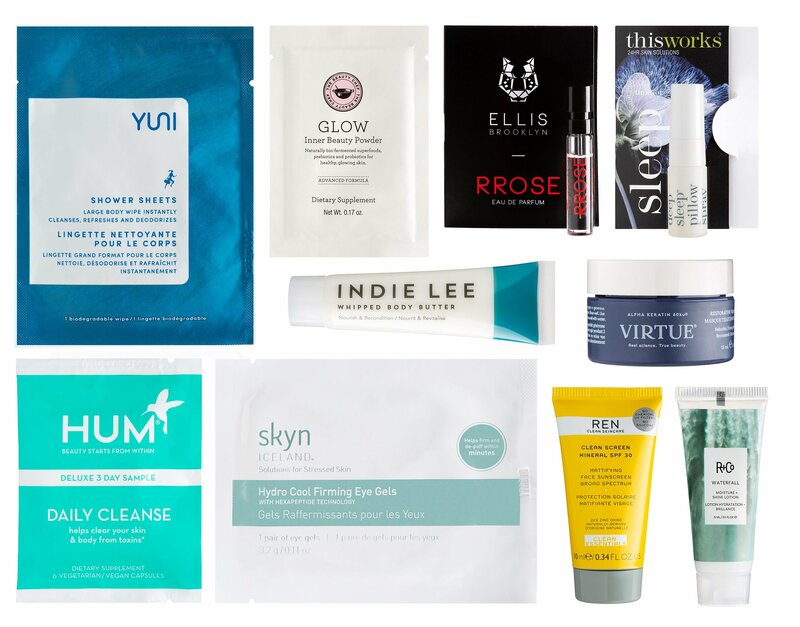 (NEW) FREE beauty bag, worth over $68, when you spend $100 or more – no code needed. (NEW) Use code GIFT to get 20% off. NORDSTROM (NEW) 5pc Clinique bonus on any $39.50 Clinique purchase. (NEW) Receive a deluxe sample of The Rejuvenating Hand Serum (0.24 oz.) with any La Mer purchase. A $16 value. Boscov’s (NEW) GIFT 1: Free Chic modern cluth on any $65 beauty purchase. (NEW) GIFT 2: Get an extra 5 free samples on any $100 purchase. (NEW) Get 3 deluxe gift on any $35 Estee Purchase. (NEW) Get 4pc gift on any $50 Clinique purchase. (NEW) Get 3pc deluxe gift on any $35 Lancome purchase. Free shipping on any $49 beauty purchase. Charlotte Tilbury , Charlotte Tilbury Canada and Charlotte Tilbury UK (NEW) Lunar New Year Gift Set – THE GIFT OF BRIGHTER SKIN SKINCARE KITS $88. Space NK UK (NEW) Drunk Elephant A-Passioni™ Retinol Cream £62. New gift with purchase offers here. New arrivals at Space NK UK. Pick 3 free samples with any order. Elizabeth Arden (NEW)(HOT) GIFT 1: Free Powerful 4-piece PREVAGE Set with $50 purchase (Worth over $108) use coupon code “NEWYEAR”. (NEW) GIFT 2: Plus, free PREVAGE® City Smart Double Action Detox Peel Off Mask (.24oz) use coupon code “SMART”. SkinCeuticals (NEW)(VERY HOT) Receive a complimentary C E Ferulic deluxe sample (a $22 value) with all orders this month! Use Code NEWYEAR. Valid 1/1-1/31. Neiman Marcus (NEW) offers up to $300 gift card with regular-price purchase including beauty use coupon code “JANGC”. Anthropologie (NEW) runs extra 40% off all sale including beauty. ASOS US (NEW) SALE: FURTHER REDUCTIONS! UP TO 70% OFF. (NEW) Get 25% off Trending Picks orders $60 or more with code TRENDINGPICKS! Valid 1/3 – 1/9. (NEW) Get 20% off Skincare featuring SK-II + Sunday Riley + Origins orders $60 or more with code SKINCARE20! Valid 1/3 – 1/9. (NEW) Plus complimentary Peter Thomas Roth Highlighting Potent-C 5ml ($15 Value) with b-glowing orders $60 or more! Valid 1/3 – 1/9. Deep Cleansing Foam, 0.5 oz. ModernMatte Powder Lipstick 516 Exotic Red, 0.06 oz. BeautyHabit (NEW) offers a free 14pc gift with any $75 purchase use code WINTERWELLNES. Bluemercury (NEW) Receive La Mer The Eye Concentrate With any $75.00 La Mer purchase online. Clarins (NEW) Choose Free 6-Piece Face or Body Skincare Gift on $100 order use code 2019. Clinique (NEW) pick 4 free gifts on orders over $35, no code needed. Cos Bar (NEW) Get a FREE gift with any qualifying purchase at Cos Bar. Receive a gift like AmorePacific vintage wash off mask, Oribe mystify spray, By Terry mascara, Dr. Lancer discovery set and many more. E.g., Free Orlane Absolute Skin Recovery Care Eye Contour deluxe sample on any $150 purchase. (NEW)(HOT) See sale page including La Mer. Free shipping on any $49 order and 3 free samples all orders. Dermstore (NEW) Through Monday, January 7, use the code SILVER toget 20% off. Dior (NEW) offers 7 One Essential Skin Boosting Super Serum gift on any $100 beauty purchase, no code needed. Ends 1/7. Free complimentary Dior gift wrapping. Choose two free samples at checkout. Jo Malone (NEW) Free Wood Sage & Sea Salt sample with any purchase use coupon code “SHORE”. (NEW) Or receive a trio of must have miniatures with your purchase of $100 or more use coupon code “2019”, ends 1/5. Kopari (NEW) launches new Coconut Toothpaste. Lancome (NEW) Enjoy a 4 piece Sample + Free shipping with a $49 purchase! Plus, receive a Bonus Sample with a $75 purchase. Enter Code JANUARY. Valid 1/1-1/31. LoveLula (NEW) Use code FREEBOX to get a free November box with any 60 GBP purchase. Mario Badescu (NEW) Receivea complimentary 4-piece gift setwhen you spend $40 or more (before tax and shipping costs.) use code REFRESH, ends 1/5. Myer Australia (NEW) Choose 1 of 3 Free full-size products when you purchase any two Clinique products, one being skincare. Philosophy (NEW) free 2 full size gift With $50 Purchase coupon code “grace” – worth $46. Saks Fifth Avenue (NEW) get $50 off every $250 spend Sale, up to $500 savings (excludes beauty) use coupon code JAN50. Space NK US Space NK US (NEW) Shop the SALE at Space NK, destination of luxury beauty. Up to 50% off. Happy 2019! Visit gift with purchase offers at Space NK here. Choose 3 free samples at checkout. Free shipping on any $50 purchase. Remember, you will receive $5 points every $100. Make sure you enroll to a free membership program NDulge. Sign up for free here. Free shipping on any $50 order. Free shipping with ShopRunner. See New In.